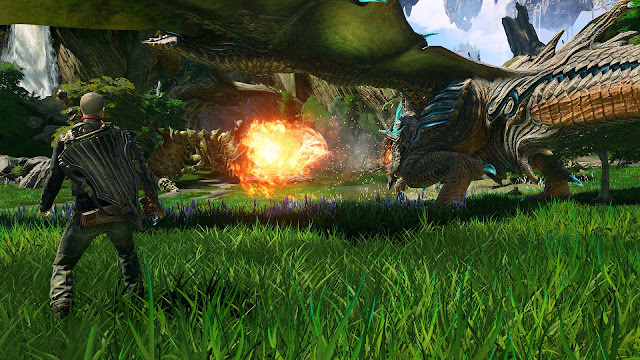 Incredibly sad news to report today as we find out that Scalebound, from Platinum Games and Director Hideki Kamiya, was cancelled earlier this week. And while there isn’t much to go off of right now; it can be confirmed however, that Microsoft was the active party that pulled the plug on the title. Scalebound was announced just a couple years ago and was showing real promise as a Devil May Cry style game with dragons in an action-rpg game from the third person perspective. The prospect of controlling a dragon in the middle of high action combat, was beyond intriguing for me. Hideki Kamiya has taken to Twitter to express his deepest apologies to the people looking forward to playing this game when it released this year. Of course some are speculating that the Scalebound development was in trouble, with Microsoft showing a displeased outlook for the title in the recent year, but that is just that. Speculation. One thing that is certain however, titles don’t just get cancelled, just because. And with Microsoft stuck between a rock and a hard place with the Xbox One getting thrashed by the PlayStation 4 and the Windows 10 Store not pulling consumers away from Steam, it’s crucial for them to get high quality titles out the door for gamers to play. Ultimately however, it’s a sad time. Hopefully more details come through to clear the air.